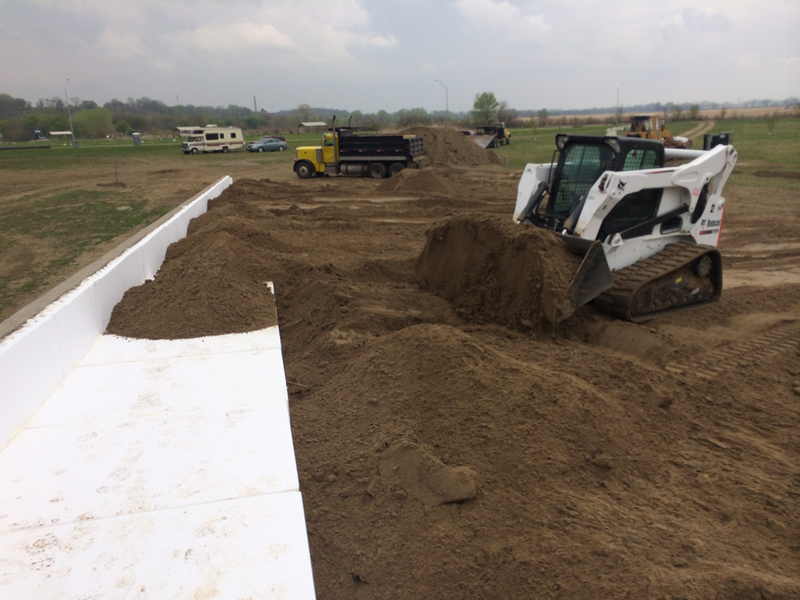 LiteForm provides building materials for Freedom Park project in South Sioux City, Nebraska. 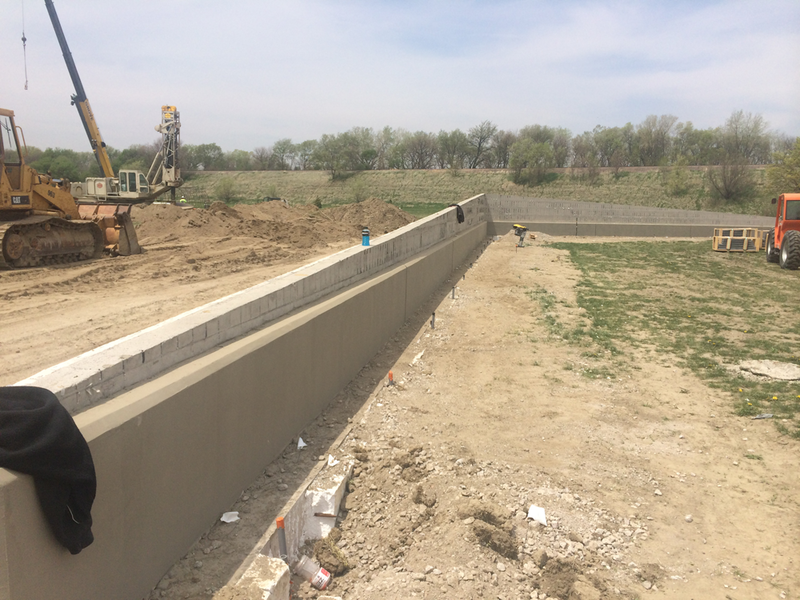 LiteForm is currently involved in a very worthwhile project in South Sioux City called Freedom Park. 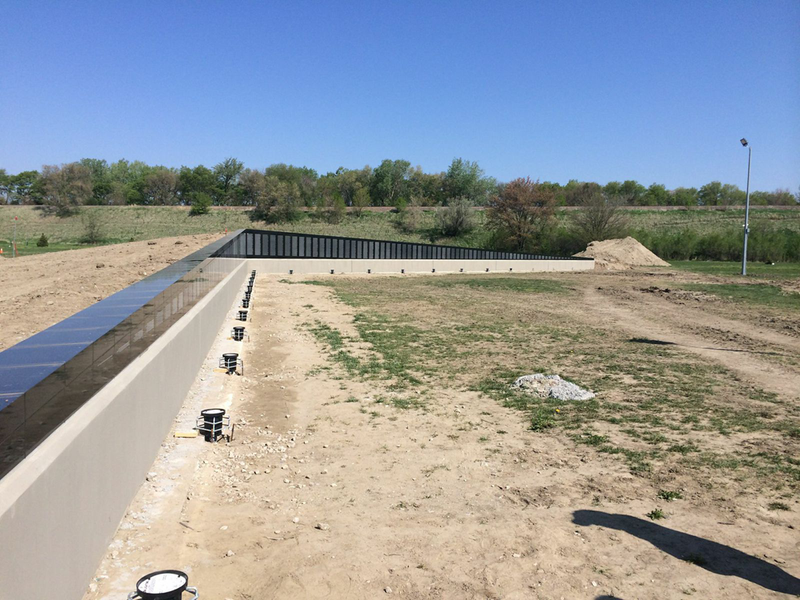 In the heart of Siouxland along the banks of the Missouri River on 55 acres of land, Freedom Park is located close to the place where nearly 12,000 visitors experienced The Wall That Heals in 2007 and just across the water from the widely known Floyd Monument, in full view of the river’s bluff. 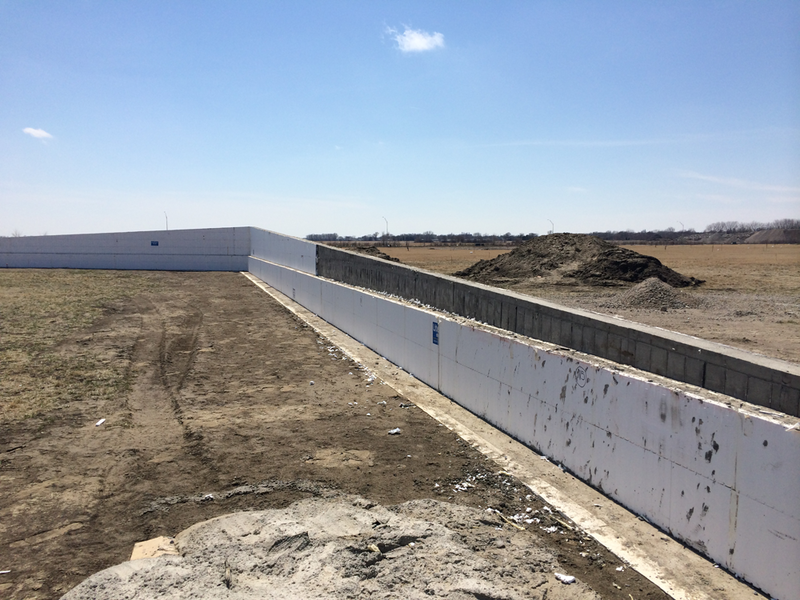 A 250-foot wall of solid concrete was formed using LiteForm’s FlexxBlock Insulating Concrete Forms. 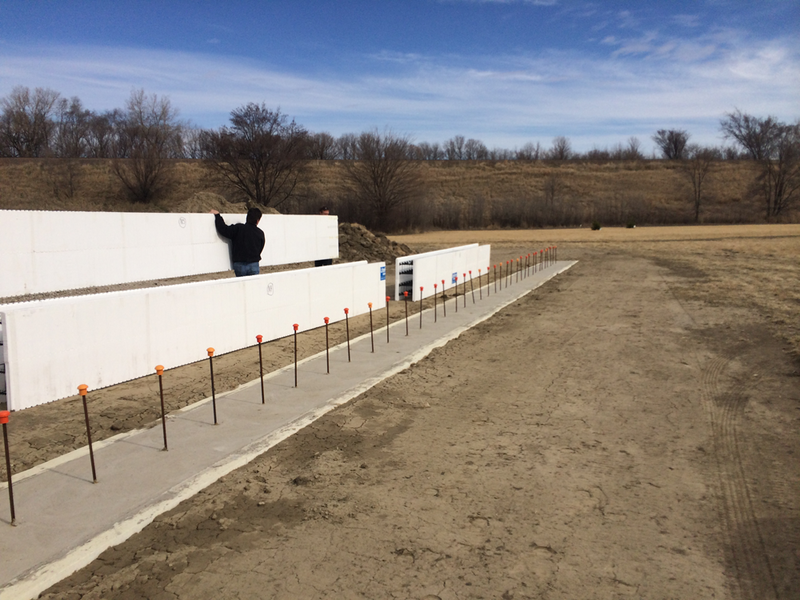 The LiteForm system is manufactured in South Sioux City, Neb., less than 2 miles from the monument’s site. 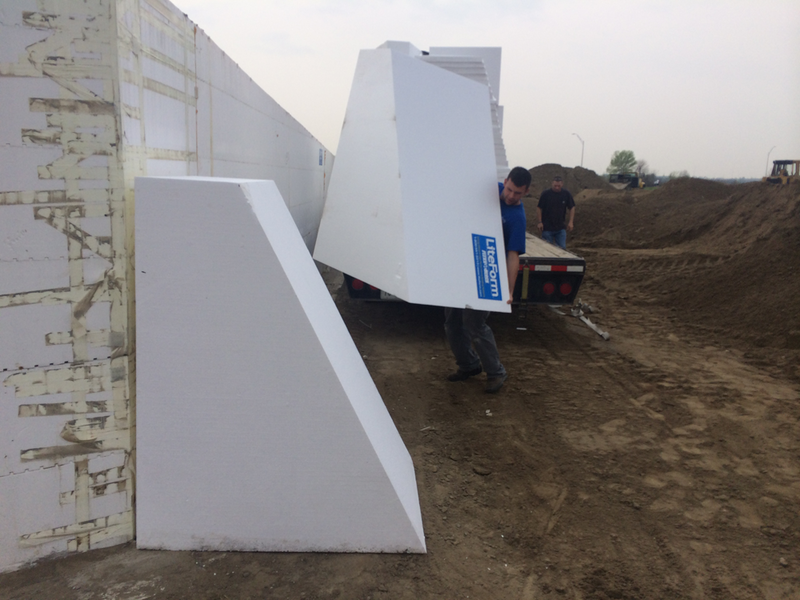 The LiteForm blocks worked perfectly for the way that this monument is designed. 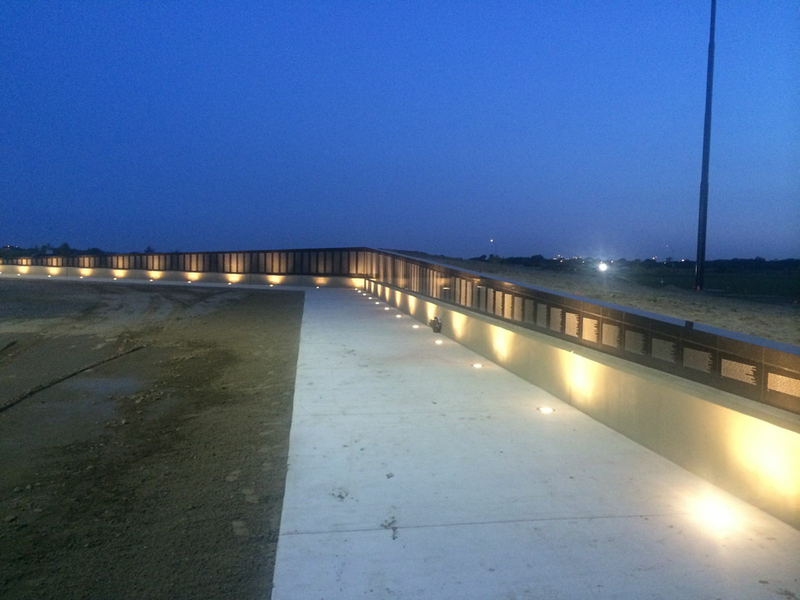 As a miniature replica of the Vietnam Wall in Washington, D.C., this wall is both pitched and angled in each direction. 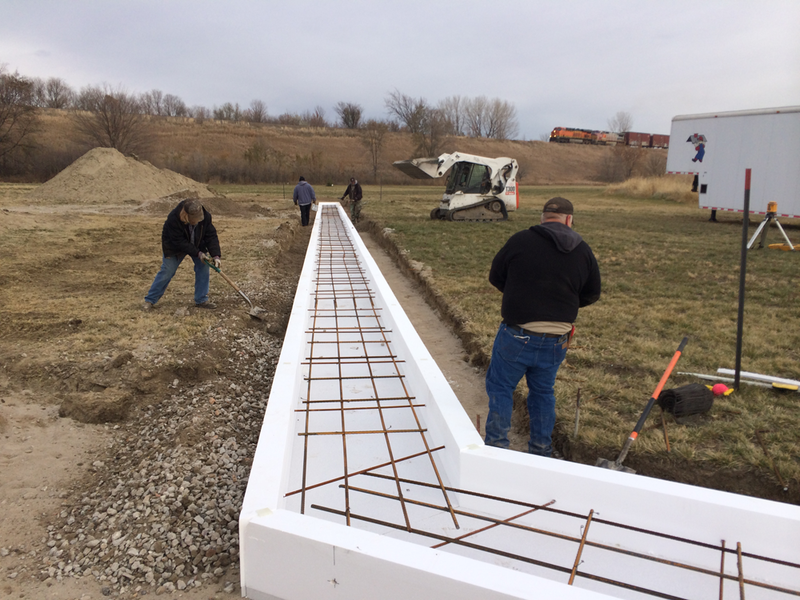 The LiteForm was cut to the exact angle and set in place on a frost protected footing that was also designed by LiteForm Technologies. 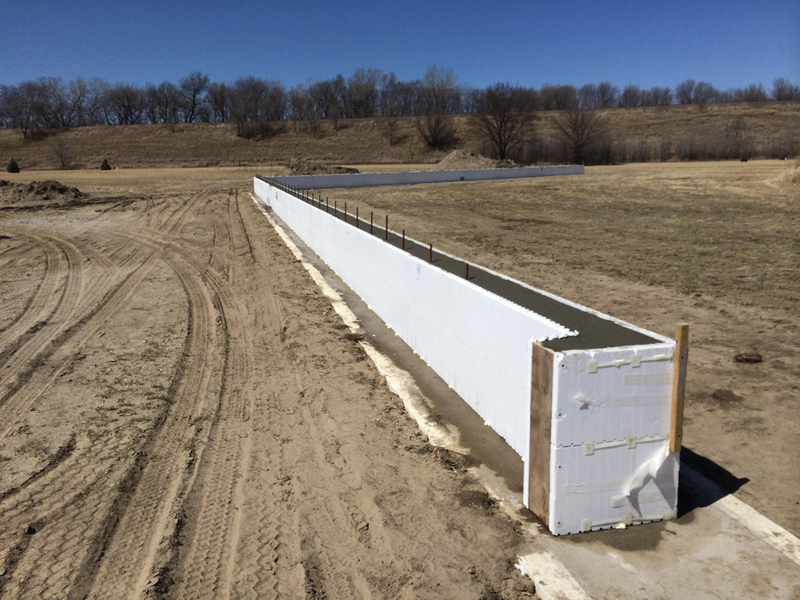 LiteForm’s Grey Flexx-25 is a 2-inch high density Rigid Foam Board that insulates the ground and does not allow frost to reach the surface, thereby preventing heaving and cracking of concrete. 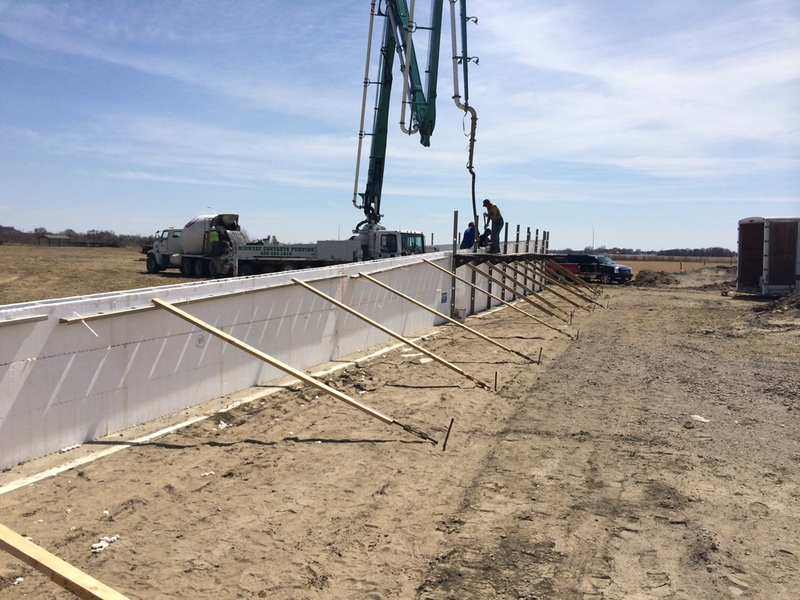 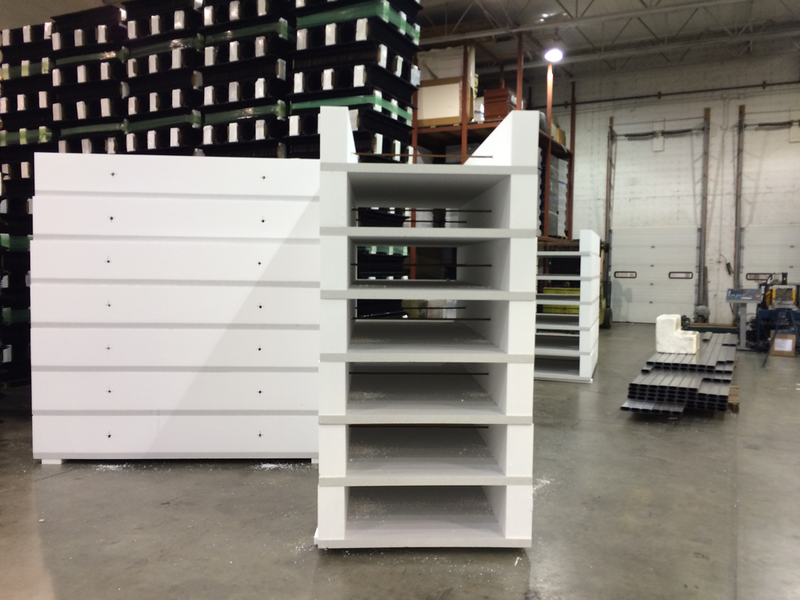 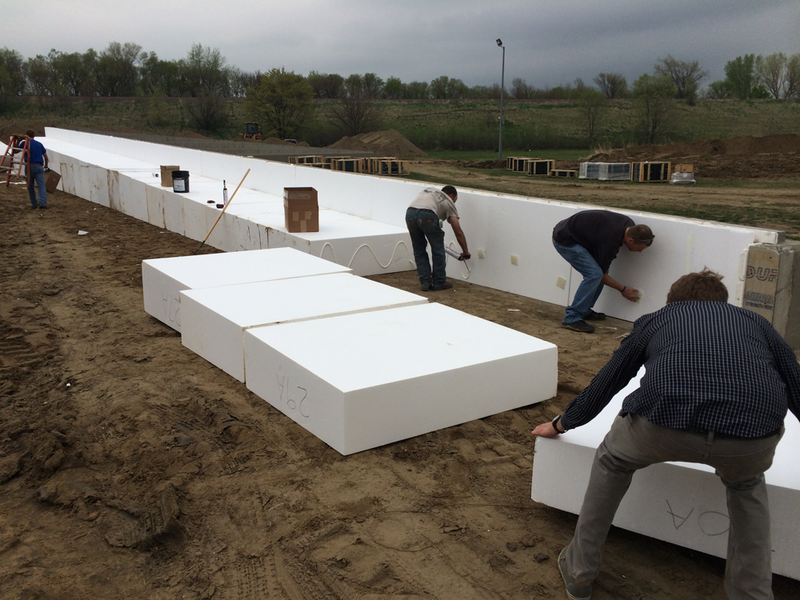 LiteForm is also providing 3′ x 4′ x 10′ foam blocks, which will be used behind the wall to serve as artificial fill. 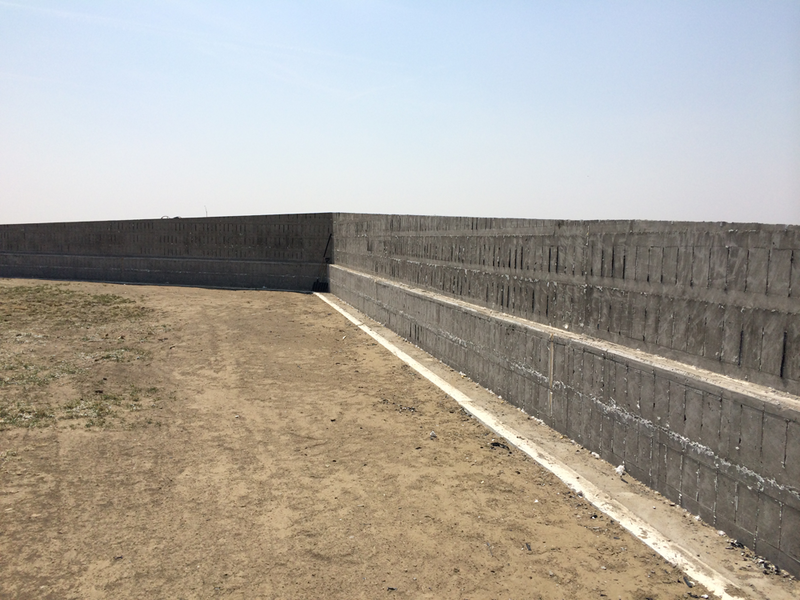 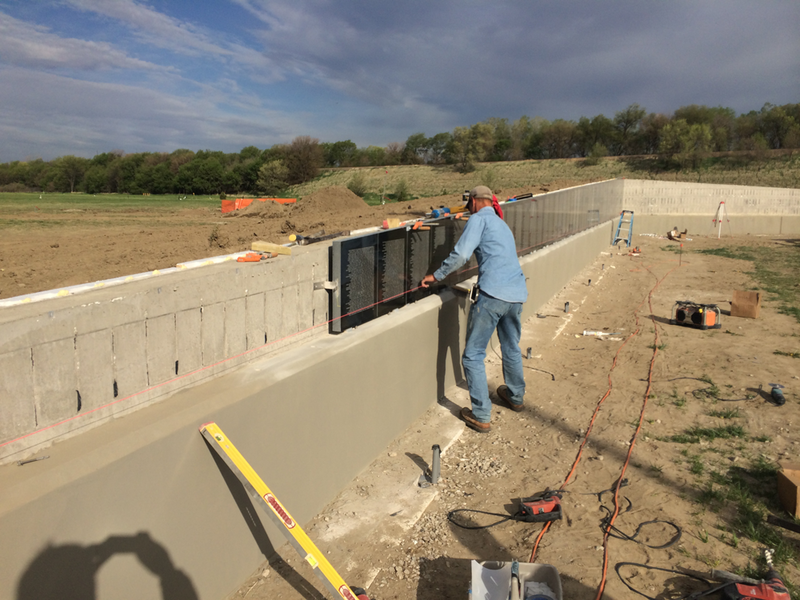 These blocks eliminate pressure both downward and vertically on the wall that is being constructed on the relative unpredictable soils that are the norm in the Missouri River basin. 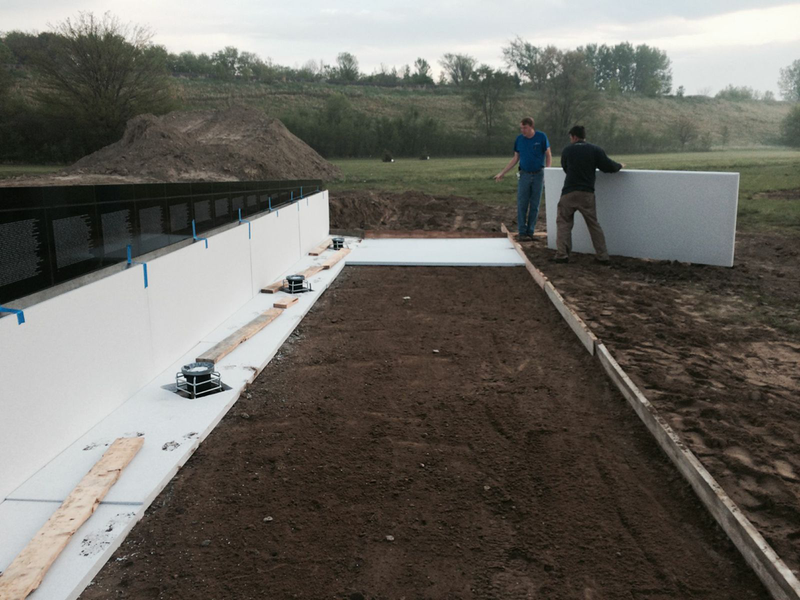 The foam saves time, energy and money, things that LiteForm helps residential and commercial contractors and owners with every day. 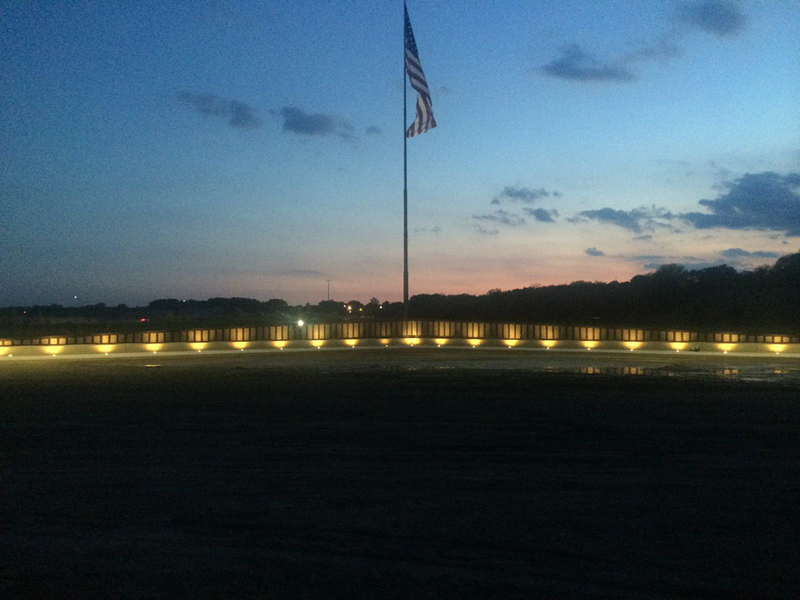 It is once in a while that LiteForm gets the great opportunity to help a worthwhile cause such as Freedom Park. 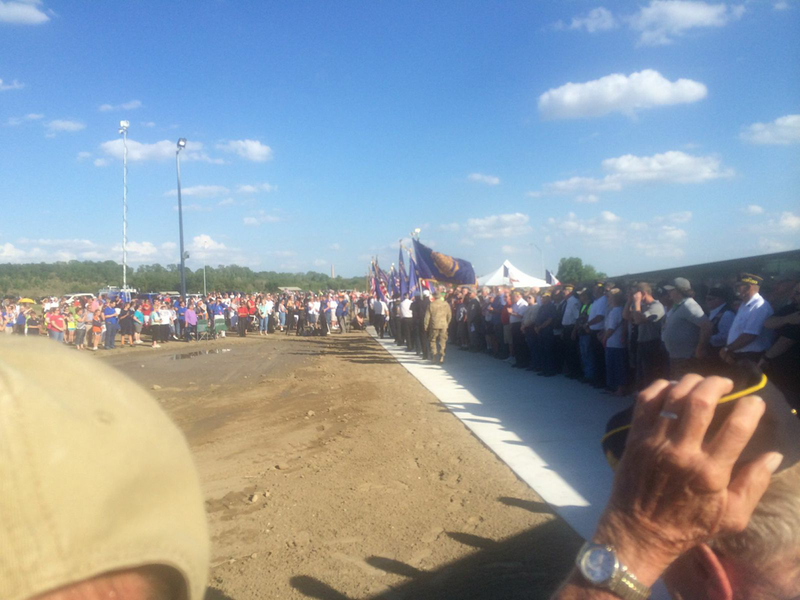 This will provide the veterans and community a place they can enjoy for hundreds of years. 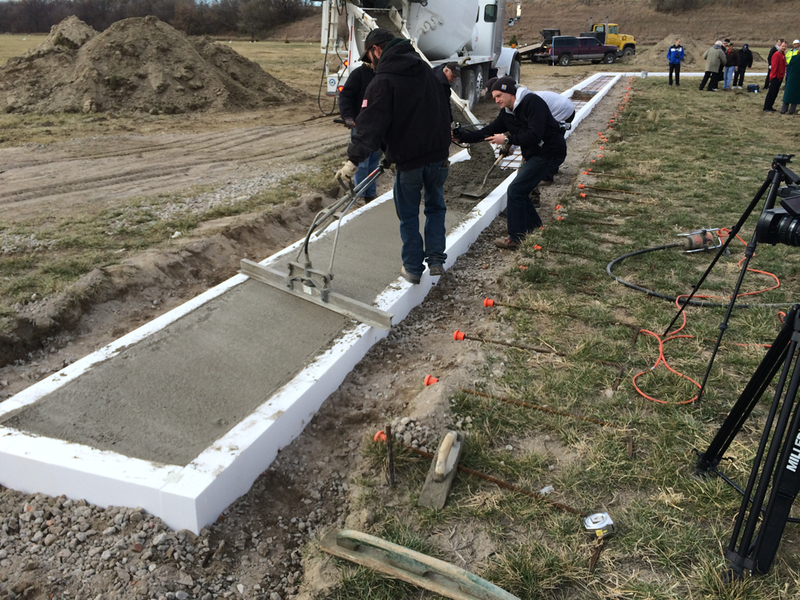 LiteForm is located in South Sioux City, Neb. 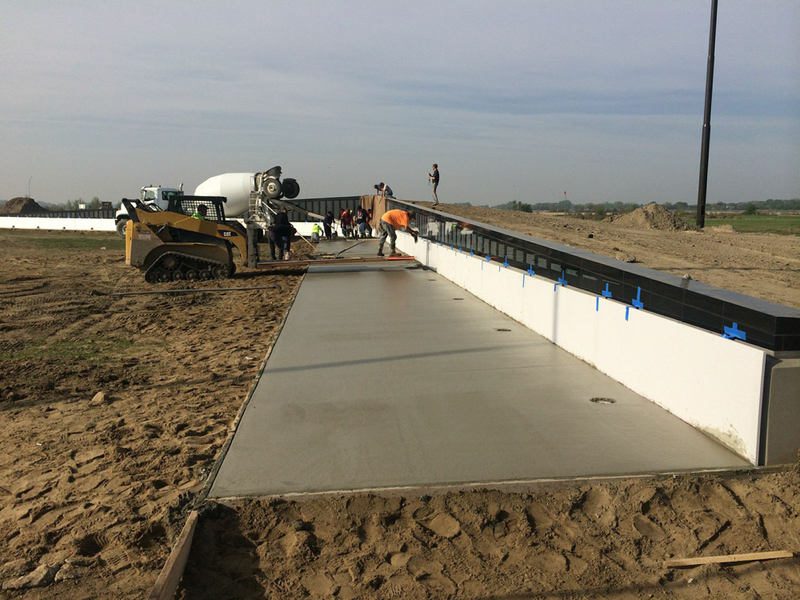 at 1950 West 29th St. Visit the LiteForm website at www.liteform.com or call 1.800-551.3313 if you have a project involving concrete and are looking for a more efficient way to build.